Marketing is moving to digital platforms. 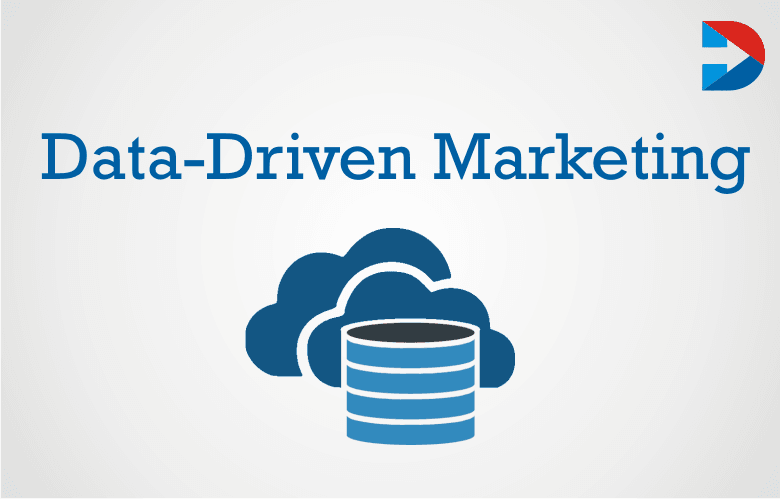 Data is being used by marketers to better their marketing efforts. Big data is collected through consumer interactions and engagement, and id analyzed. It is important to understand the data organize and analyze it and then built strategies based on insights in data-driven marketing approach. The data-driven marketing approach is being followed by the 77% of the marketers. The goal of data-driven marketing is to optimize the marketing strategies to cater to the latest trends by understanding the demands of the audience and customers. Marketers must have the information of how, where, when and why the customers are responding to their marketing efforts. It helps them to make better decisions regarding the timing of advertising, the medium, and customization of marketing processes. Data-driven marketing also helps to evaluate if a bounce rate is seen at the certain point of the campaign. The marketers can make necessary adjustments to optimize the customer experience. Marketers can focus on the efforts that will get superior ROI and offer the highest value to the consumers. They can see what the mistakes are and how to correct them. Data-driven marketing approach can benefit both the businesses and consumers. It is important however to implement the strategies successfully. Using data-driven marketing, companies can create campaigns for a specific audience and send the right message to right people. This is done by deeply understand the customer profile. Data-driven marketing also helps the companies to understand the needs and requirements of the prospects and develop products that are better suited. Targeting the offers, content, and messages is the main objective of the data-driven marketing. It is true that there are many benefits of data-driven marketing and there are also challenges. Here are some common struggles. It is a challenge to attract the right type of staff who is experienced in predictive analytics and audience amplification. It is a big challenge to gather high-quality data which is essential for data-driven marketing. Commitment is very important to the success of data-driven marketing. Integration is another challenge for companies implementing data-driven marketing. Gathering the needed data is a big task for any company. Sometimes data analysis can suggest an action that is against the value of the brand. Marketers should maintain a sense of brand integrity and not sacrifice values. The data-driven approach helps in improving the marketing strategy. In this approach, there are certain things that should be considered. To achieve the objective and avoid any complicating results then the automation and integration are important. Marketing strategy should be integrated with new tools and technology for automation. Every information about marketing strategy should be shared across all departments and teams. Try learning from mistakes of competitors. Have a look at what they are doing. Find what is working and what is not. Keep an eye on latest trends in the industry. Single data-driven marketing does not work for all businesses. It should be monitored and measured continuously. 92% of marketers stated that data is going to play a vital role in the future. Important steps to get success with data-driven marketing are to plan, test, analyze and iterate. Marketers must know what data should be measured and how. A/B testing is the best measure to see what is working for the brand and what is not. The results then should be compared to the KPIs. Then the marketing efforts should be adjusted and implemented accordingly. Data is driving the marketing decisions of most of the marketers. Not using the data to get insights and make informed decisions means they are behind the curve. Where is data-driven marketing heading? Marketers understand the necessity of right data-driven platforms and technology. They are utilizing the services of these platforms and technology which are improving day by day. Advertisers can get data from different platforms such as Facebook and Google. Data about the interests, the behavior of consumers are now available for the marketers, and this is making the platforms more and more valuable. Brands are creating new strategies to use the new technologies. The platforms and technologies are also helping the marketers to understand what strategies are working for them and what needs to be improved. Marketers now easily understand where they are spending and what they are getting back. They can also work to improve the customer experience on their site. Data is one of the popular methods to improve conversion rate along with customer journey analysis and A/B testing. There is bright future for data-driven marketing. For any successful marketing campaign, data-driven marketing is becoming an important element along with artificial intelligence and predictive marketing. 63% of marketers are stepping ahead to more use of data-driven marketing in the coming years. This can be contributed to the expectations of customers of more and more personalized experiences. Brands are using data to remain competitive in the market and to make changes to the marketing and customer journey. Data-driven marketing is more than just measure cost per click. The range of platforms and data sources are available for the marketers which they can use to target the right customers, help to improve the performance of marketing and create new strategies. Marketers should be familiar with what the tools and technology are available and compete with the other brands that have a more informed approach to data-driven marketing.